The Special edition "Sapphire Blue" Motorola Moto G5 is now officially available for purchase in the UK. 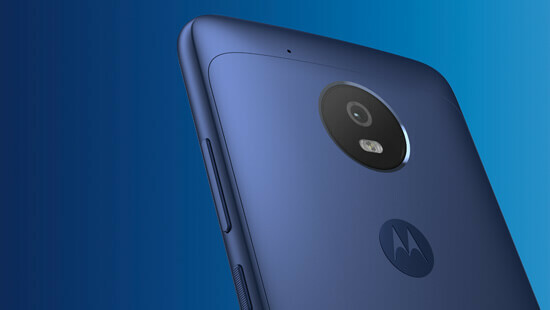 O2 is the exclusive seller of the Moto G5 in "Sapphire Blue," whereas the basic colors i.e. Lunar Grey and Fine Gold can be bought via Amazon UK. The Smartphone costs £0 for an upfront cost for qualifying customers and £19 per month on top of the monthly phone bill cost. You can also opt for a prepaid plan with an upfront cost of £139.99, with a qualifying prepaid tariff. As of right now only the Moto G5 (non-plus) variant is available from O2, whereas the Moto G5 Plus with the same color will be launched in subsequent weeks with basic changes to the specs. The Moto G5 sports a 5" Full HD display (1080p), 5MP front camera, 13MP rear camera, 2800mAh removable battery, Snapdragon 430 octa-core processor, 2GB/3GB RAM, 16/32GB internal storage with SD support and Rapid charging. It is worth noting that O2 only sells 16GB version of the Sapphire Blue Moto G5.